The villages and towns in the Park have networks of community paths and trails, giving you a taste of the unique landscapes, nature, and heritage in each of these communities. Find the right trail or trails for you, whether you’re looking for a 15-minute low-level walk, an hour long low-level walk or a longer hike through the woodlands and mountains, you will be able to find a trail that suits you regardless of where you are in the Park. Want to experience a sense of wildness? 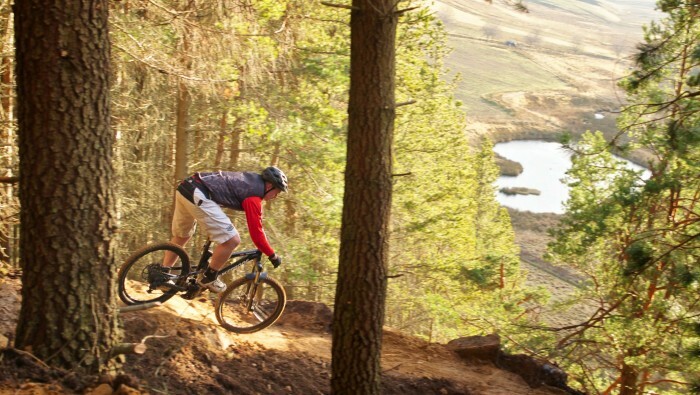 For walking routes over hill passes and through uninhabited country, you will want to try out one of the Cairngorms HIll Tracks. In most cases, these are rough and unmade tracks and you will need a detailed map and a compass for navigation. Our Hill Tracks Leaflet leaflet gives the routes featured in the Scottish Hill Tracks book, which will provide you with grid references, distances and route descriptions. Spend longer exploring the Park and taking in incredible views on some of the longer (and longest) walking routes in Scotland. 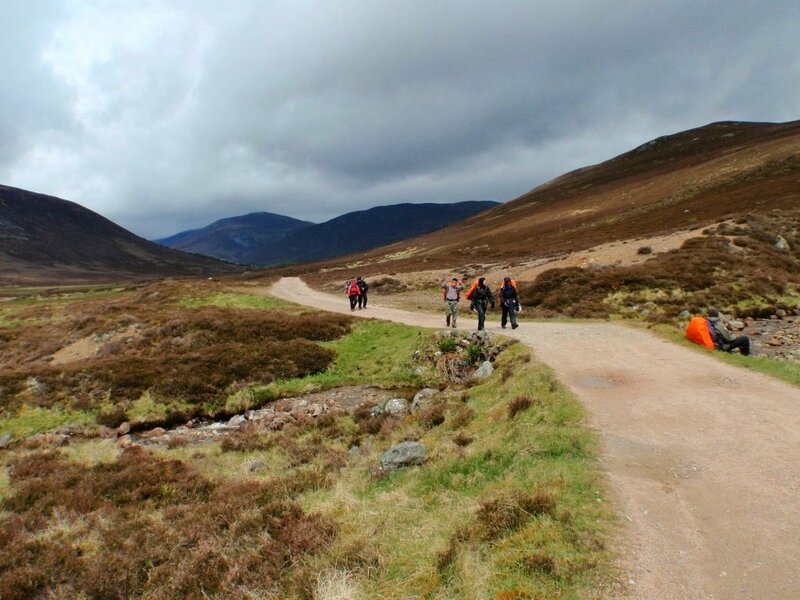 The Speyside Way is one of four official Long Distance Routes in Scotland, the route links the Moray coast with the edge of the Grampian Mountains, following the valley of the River Spey, spanning a distance of approximately 65 miles. 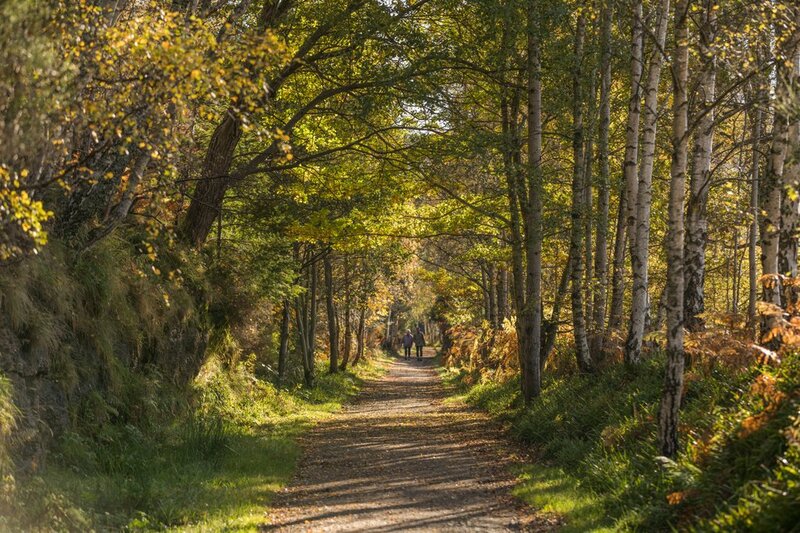 The Deeside Way runs from near the centre of Aberdeen to Ballater, following the line of the Old Royal Deeside Railway through woodlands and farmlands, for a total distance of 41 miles. 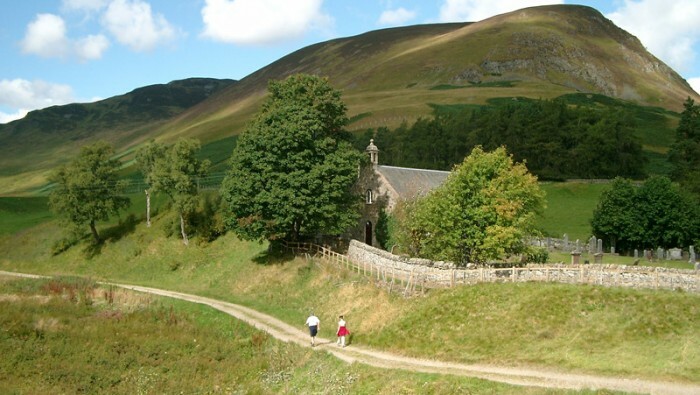 The Cateran Trail, one of Scotland’s Great Trails, is a 64-mile long route through Perthshire and the Angus Glens, this is a circular route divided into five stages, following old drove roads and ancient tracks across farmland, forests, and moors. The Dava Way links Forres in Moray with Grantown-on-Spey, a distance of 24 miles following the old Highland Railway line and winds its way up to the Dava summit at 320m before descending into Strathspey. 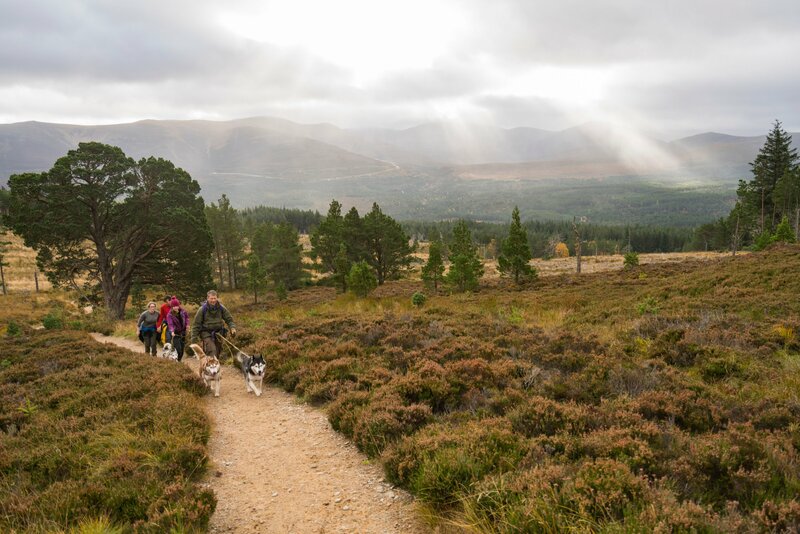 The East Highland Way is a long distance walk of 82 miles between Fort William and Aviemore, and connects the West Highland Way and Great Glen Way to the Speyside Way, passing through broadleaf forests, loch-side trails and the mountain wilderness. Munros are mountains in Scotland that are at least 3,000 feet high (approximately 914 metres) and are named after Sir Hugh Thomas Munro, (1856-1919) who was the first to publish a list of all the mountains of this type in the Journal of the Scottish Mountaineering Club in 1891. 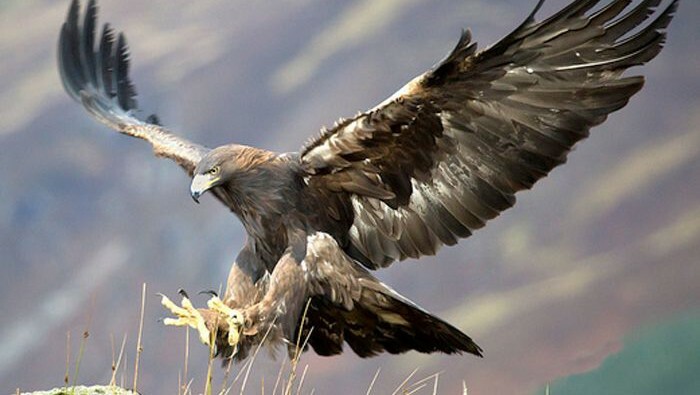 The Cairngorms National Park has the most extensive range of mountains in the whole of the UK, with arctic-like wilderness plateaus, encircled by beautiful valleys and rivers, climbing a Munro means you will pass through ancient Caledonian pinewoods, take in historic sites and reach summits higher than anywhere else in the British Isles. Bagging a Munro is no easy feat, it is recommended that you prepare well in advance, considering your ability, the weather, equipment and your hiking companions. 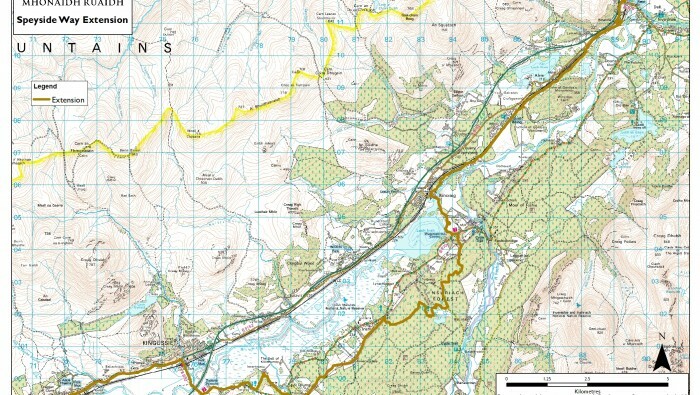 For the best overview, advice, maps and information on each of the Munros in the Park be sure to visit Walk Highlands. 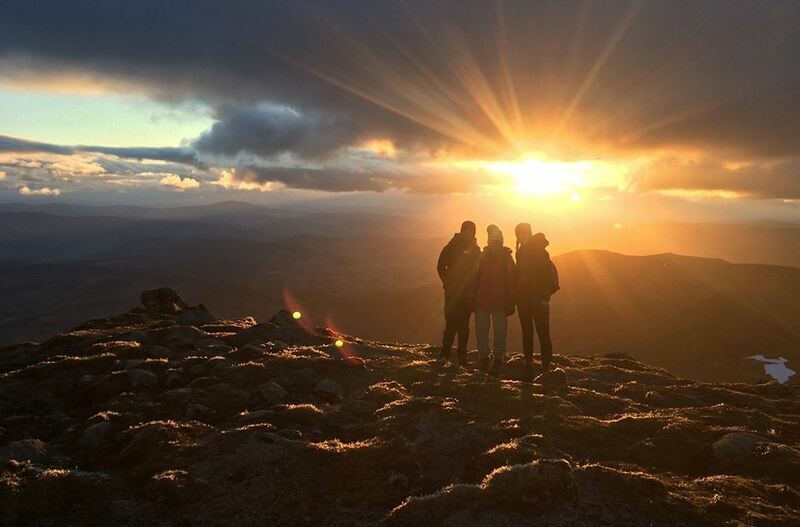 For some Munro Bagging inspiration have a read of Visit Cairngorms article ‘Six of the best Munros to climb in the Cairngorms‘. There are many types of paths you can take while in the Park, including heritage trails that have unique stories about the history of the land and its people to tell. From Coffin Roads and Drove Roads to Smugglers’ Paths and Medieval Roads, there are many histories to explore. For all the history, the route descriptions and maps visit Heritage Paths: Revitalising Scotland’s Historic Paths for the Future. 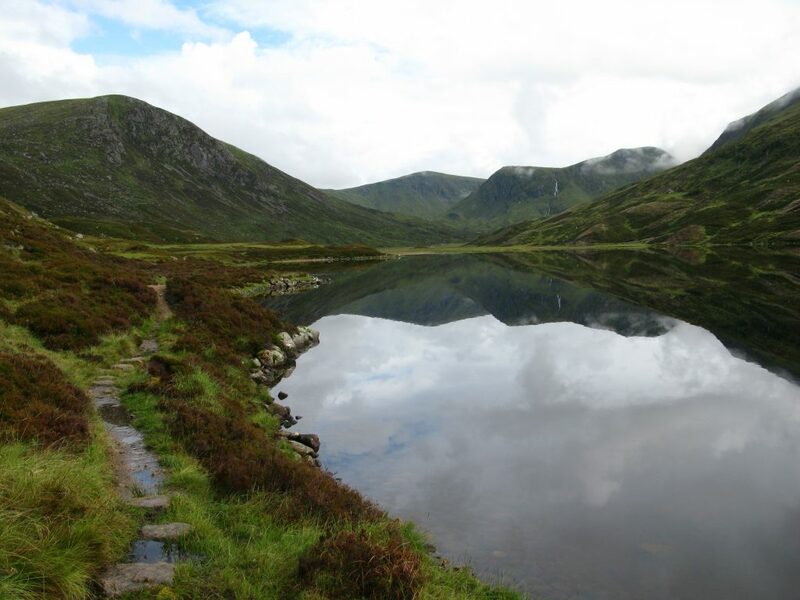 While there are plenty of walks that require little or no preparation if you do decide to take on a long hike or a higher climb it helps to be familiar with the Outdoor Access Code, visit Walk Highlands for the best advice and maps and download the Cairngorms Explorer so you can get around without relying on the car. Explore the mountains, forests and moorlands with expert rangers and guides who live and work in the Park and can take you on the most incredible walking adventures, making sure you get the most out of your time here. 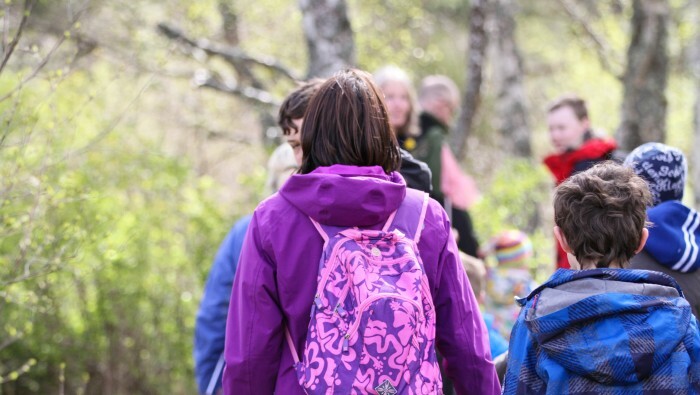 Find out about guided walks here and visit Rangers Events for all the up and coming activities.